Can You RV On A Farm? If you’ve ever dreamed of wide open skies and endless prairies then this story is for you. 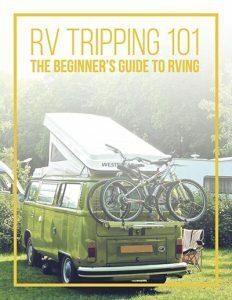 Did you know that you can RV on a farm? It’s true. Agritourism is a popular alternative to big city vacations. Why explore New York or Chicago when you can enjoy the peace and quiet of a farm or ranch getaway. Agritourism is travel organized around farming. 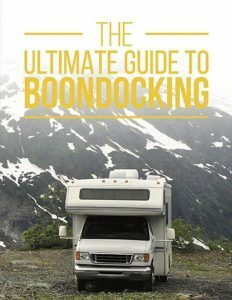 When you RV on a farm, you get a chance to connect with nature far from the hustle and bustle of traditional RV parks. The logistics of staying on a farm can vary from place to place. In some cases you pay to stay just like at an RV park while in other cases, you work to stay. As a working farmer you help perform assigned chores for agreed upon hours in exchange for a place to stay. If you RV on a farm you may not have access to full hookups. Be sure to ask before you arrive. Most farms will allow you to use your generator as long as you are not near the animals or crops. Farm and ranch stays may sometimes offer home cooked meals. Ask in advance about the eating arrangements. If you will not be eating with the family, be sure to plan ahead and pack plenty of food. It may be a long drive to the grocery store. Take time to explore the town. Most farms are near a rural community. This is a great chance for you to experience small town life at its finest. Visit the museums, eat at the local cafe, spend money in the town, and help support the locals. Pets may or may not be welcome. Be sure to ask in advance. Most farms have some sort form of animals so keep that in mind. There are several online websites that allow you to connect with the agricultural community around the U.S. In addition to farms, you can stay at vineyards, orchards, ranches, organic growing centers and hunting grounds. You can even join the Amish for a week! You just need to know where to look. 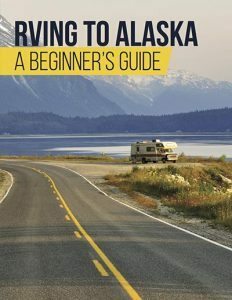 RV with Me offers a great resource when it comes to finding available land to park your RV. You can search by city or address. Some listings are free while others charge a nightly fee. 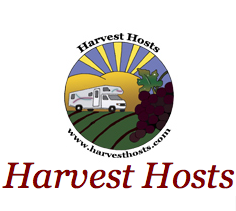 Harvest Hosts has over 600 hosts ready for your visit. For just $49 a year members can stay 1 to 2 nights at various orchards, wineries and farms around the U.S. for free. As a member you are able to see the rules, regulations and opportunities at each location. Farm Stay US. is another great place to find lodging and RV opportunities on a variety of farms. Care Taker Gazette is the place to search if you’d like to park on a ranch of farm long term. You can RV on a farm in exchange for land management all over the country. Farm Stay Planet offers tons of great info on agritourism with farmstay vacation providers worldwide, from basic farmhouse accommodation to luxury farm hotels on everything from vineyards and horse ranches to alpaca farms and chill pepper plantations. Would you want to RV on a farm? Where would you like to stay? Add your comments in the box below and then share this article with your friends. Thanks!